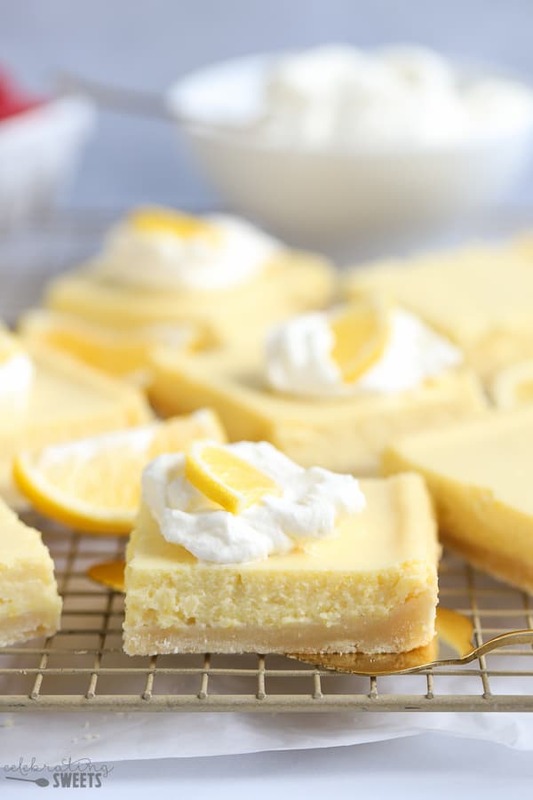 Creamy Lemon Bars Recipe – A buttery shortbread crust topped with a creamy lemon filling. The perfect balance of sweet and tart in each bite! Video below. Calling all lemon lovers! And non-lemon lovers, too! 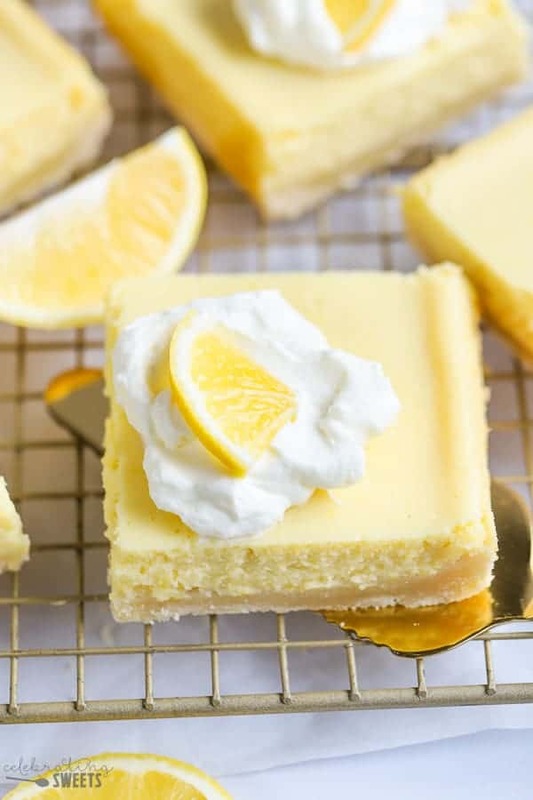 Because, even if you *think* you don’t like lemon, I’m going to try to convince you otherwise with these Creamy Lemon Bars. I’m not usually a huge fan of lemon desserts. I typically prefer chocolate or peanut butter, or berries, but, as we approach early spring, I start crawling out of hibernation and crave fresh, bright flavors. I’ve never really cared for traditional lemon bars, but, then I had the idea to make Creamy Lemon Bars. YES! Instead of a lemon curd filling, this one has some cream cheese added to it. 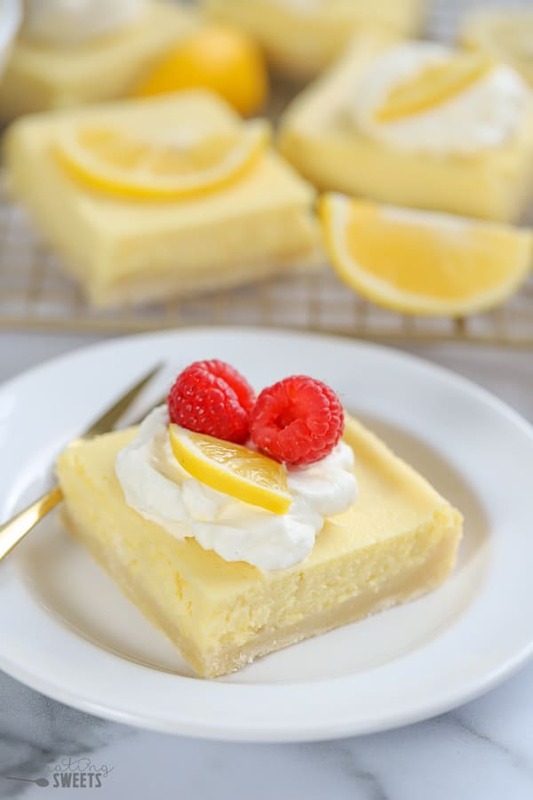 It’s not quite a cheesecake, but not a classic lemon bar. It falls somewhere in between the two. Shortbread Crust: A buttery shortbread crust makes up the base of these bars. It’s a simple mixture of butter, flour, sugar, and salt. Press the dough into the bottom of a 9×9 square pan and bake it for 10 minutes while preparing the filling. Creamy Lemon Filling: A mixture of cream cheese, sugar, lemon zest, lemon juice, vanilla, flour, and eggs. All ingredients are combined, then poured into the pre-baked crust. Return to the oven and bake until the filling is set. This Lemon Bars Recipe produces a bar with a buttery crust and a super creamy lemon filling. The filling is not overly lemony. It’s noticeable enough to know that you are a eating a lemon dessert, but not enough to make you pucker. If you’d like to increase the lemon flavor, you can add more lemon zest. I do not recommend adding more juice, as the extra liquid could make the filling too runny. Do Lemon Bars Need To Be Refrigerated? Yes. Once these bars are baked, they need to cool to room temperature before being transferred to the refrigerator to chill completely (this will take several hours). I recommend storing these bars in the refrigerator. I bring them to room temperature about 30 minutes before serving. If preferred, they can be eaten straight from the fridge. Yes! These bars will keep tightly covered in the fridge for up to 3 days. If you’d like to store them longer, you can freeze them. You can store them in a freezer storage container for up to 1 month. I recommend placing the bars on a cookie sheet or plate and freezing until solid and easy to handle (a few hours). Then individually wrap the bars in plastic wrap and place them in a freezer storage container. Be sure to remove the plastic wrap before thawing (so that the creamy filling doesn’t stick to the wrap). How Much Zest And Juice Do You Get From a Lemon? 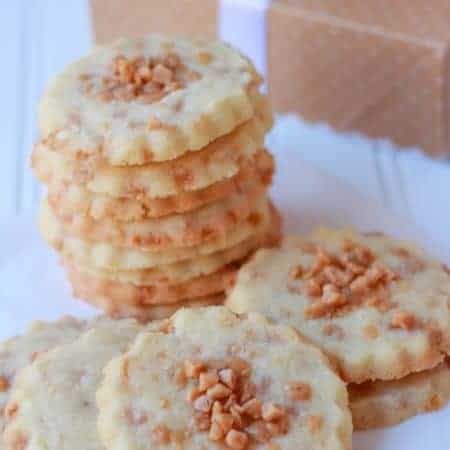 This recipe gets it lemon flavor from a combination of lemon zest and lemon juice. You will get approximately 1 tablespoon of zest and 1-2 tablespoons of juice from each lemon. When measuring lemon zest, it should loosely fill the measuring spoon, not packed in. TIP: Remove the lemon zest with a fine grater (such as a Microplane). Only remove the bright yellow zest, not the white pith (that will be bitter). Last but not least, what are we going to top these Lemon Bars with? Here are my favorite toppings: Homemade Whipped Cream, Blueberry Sauce or Roasted Strawberries. 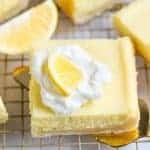 The BEST Lemon Bars Recipe! A buttery shortbread crust topped with a creamy lemon filling. The perfect balance of sweet and tart in each creamy bite! Preheat oven to 325°F. Line a 9x9 square baking pan with foil or parchment paper. Grease it well, set aside. Using a hand mixer or stand mixer fitted with the paddle attachment, beat butter and sugar for 1-2 minutes, until smooth and combined. Add flour and salt and beat until just combined (the mixture will be crumbly, but it should hold together if you squeeze it with your fingertips). Dump the dough into the prepared pan and press it gently into an even layer. Be careful not to pack it in too tightly, or the crust will be hard to cut through. If necessary, moisten your fingers or palm with water to keep the dough from sticking. Bake the crust for 10 minutes. While the crust is baking, prepare the filling. 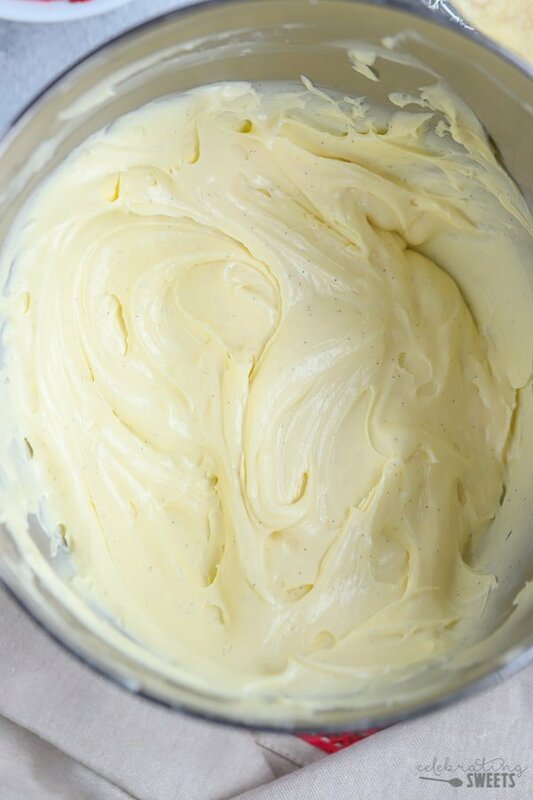 In the bowl of a stand mixer fitted with paddle attachment (or with a hand mixer), beat cream cheese until smooth and combined. Add sugar and flour and beat until well combined. Add eggs, lemon zest and vanilla and beat until combined. Slowly add the lemon juice (I like to do this with the mixer running), beating until the lemon juice is fully incorporated. 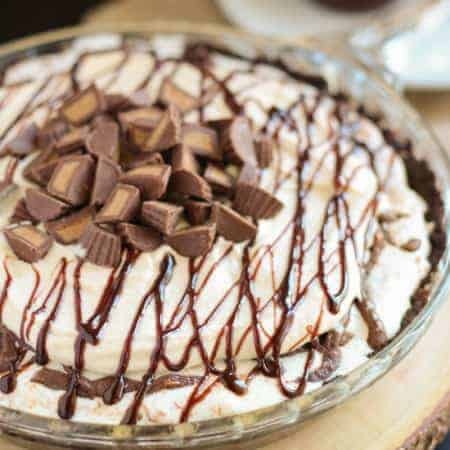 Pour the batter into the crust and return to the oven for about 25 minutes, or until the filling is set. Place the pan on a cooling rack, cool to room temp, then cover and refrigerate until completely chilled (several hours). Note: I like to serve these slightly chilled. I remove them from the fridge 30 minutes before serving to allow the crust to soften up a bit. 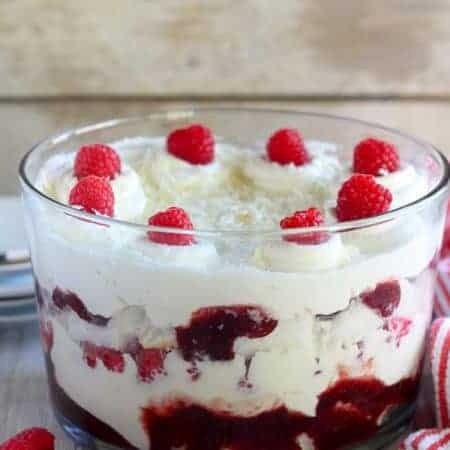 Serve topped with whipped cream. *Most of the yellow color is coming from the egg yolks. I find that pasture-raised, organic eggs tend to have a more deep yellow color, and I prefer those. This recipe will work with any brand/type of large eggs, just be aware that a more pale yolk will result in a lighter yellow end result. **When grating a lemon, only use the yellow part of the skin, not the bitter white pith. A microplane grater works well for this. Use anywhere from 2-3 tablespoons based on your taste preference. I love lemon desserts! This is going to be a must! Thank you for sharing! Easter is late this year, 2019, but that gives me time to whip up a batch for Easter at Mum in laws. Wonder of you can mix in blueberries to the lemon cream? These look like the sweetest bites, I need these in my life!! Nothing tastes better than Lemon! Omg, looks insanely delicious! I would love to give this a try, just perfect! 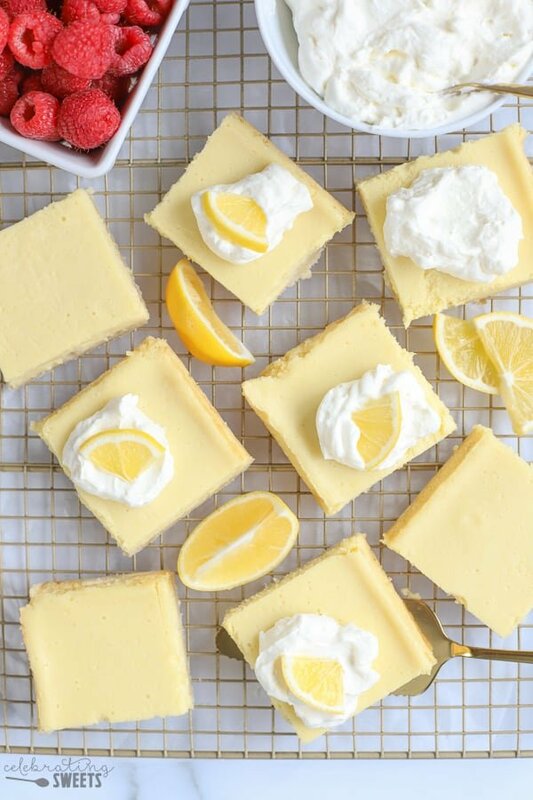 These lemon bars are calling my name! I wish I had them right now! I really love lemon desserts! This one is really amazing!